The Superflow blower range is manufactured by Metrax. Your whirlpool may have fitted either the Superflow or Metrax branded version. 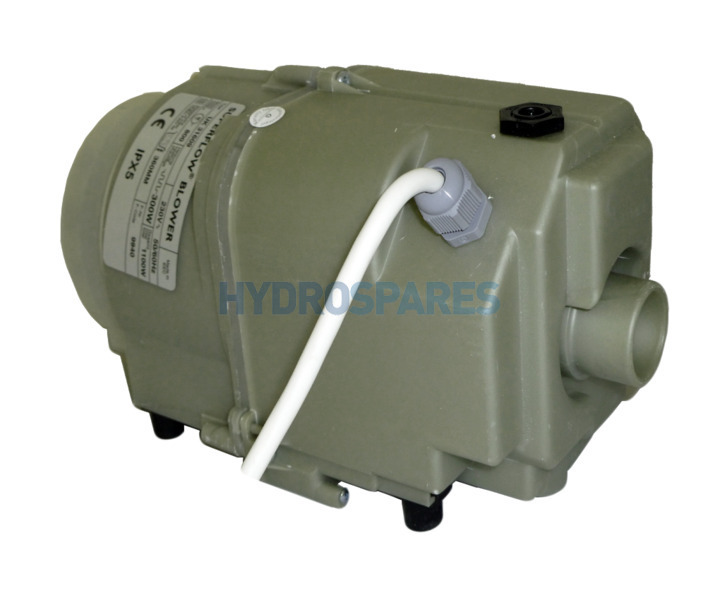 A Powerful 800 watt motor can be used in air spa systems with up to 36 nozzles and is suitable for air track baths, PH pools, and older Airbath systems. A tapered outlet is suitable for either 32mm or 1.00" pipe work but works best with the RUBBERISED HOSE CUFFS. UK31609 is the non-heated version but both blowers have an additional air switch fitted so can be control via electronic or air buttons.You can even turn your blower into a variable 3 speed version by fitting a 3 SPEED PNEUMATIC CONTROL BOX. Note: replaces Superflow blower 96536. Many thanks for your review Matt.